Common building systems, such as cooling towers, hot water tanks, faucet aerators, shower heads, hot tubs and decorative fountains, all produce fine water droplets that can harbour Legionella bacteria growth. Without proper management and maintenance to building systems, this bacteria can grow, releasing fine aerosols that can be inhaled deeply into the lungs, causing respiratory infections in occupants and the potentially fatal Legionnaire disease, a form of pneumonia. Some recent updates to standards offer guidance to managers to help mitigate Legionellosis and prevent facilities from potential liability. BOMA BEST 3.0, which recently replaced BOMA BEST Version 2, recommends managers and owners develop and implement a Legionella water management program to demonstrate intent on managing buildings. This includes ensuring the program adheres to the requirements of ASHRAE 188 Legionellosis: Risk Management for Building Water Systems and Public Works and Government Services Canada’s (PWGSC) Control of Legionella in Mechanical Systems Standard 15161. The program identifies building systems that must be considered for Legionella risk. Control measures should be developed and documented, which would include preventative measures, water sampling, protocol monitoring and corrective actions. ASHRAE Standard 188, released in 2015 after years in development, requires that buildings evaluate where Legionella growth may occur in all water and plumbing systems. A management program should be in place to establish preventative control measures, management and monitoring of the implemented measures. An older, but equally important standard is PWGSC’s Standard 15161. Released in mid-2013 and updated by addendum C in March 2016, this standard provides minimum requirements for design, operation, maintenance and testing to prevent Legionellosis associated with building water systems in federal facilities and Crown-owned buildings. The standard, which applies to both new and existing PWGSC-owned buildings, can be used to ensure the consistent implementation and reporting of facilities. It also provides the minimum requirements that must form part of a facility’s Legionella Bacteria Control Management Program, including checklists and forms, and risk evaluation based on the standard’s risk guidelines. There seems to be a belief that Legionella growth is limited to cooling towers; however, studies have shown more prevalence in hot water storage tanks and potable water systems. Since Legionella can grow in potable water systems at a greater rate than cooling towers, management of potable water systems to prevent growth in all buildings, particularly health care facilities, is very important. Potable water conditions of concern for Legionella growth include biofilm present in tanks, pipes, other vessels, domestic hot water storage tanks and dead legs in hot and cold water lines. Legionella pneumophila enters buildings as a bacterium found in very low concentrations in lakes and rivers. It is not completely eliminated by chlorination or other water treatment systems. Legionella will grow in warm water (above 20 C). The ideal growth range is 35 to 45 C and the organism is killed more rapidly above 65 C.
Dead legs in potable water systems are an issue of concern as Legionella can grow rapidly. For example, all potable water systems should be removed or capped and drained during decommissioning of washrooms, cafeterias and laboratories, etc., to prevent growth and cross contamination of connected systems. Other at-risk sites include shower areas, patient washrooms and washrooms in tenant suites that are not used often. If these systems cannot be removed, a flushing regime of these systems should be performed. Domestic hot water storage tanks are a source of Legionella growth, particularly if the heating elements (coils) do not reach the base of the tank, resulting in cool spots. Pipe connections above the base of the tank will allow for sediment accumulations. These combined conditions allow Legionella to grow in the sediment which can be released into the hot water in the event of water pressure surges such as water shutdowns. The bacteria, if present, could be aerosolized via faucet aerators or shower heads. Ideally, water temperatures in hot water storage tanks should be maintained at 60 C to minimize Legionella growth. However, this high temperature, if provided to the delivery point, will cause severe scalding particularly to the young and elderly. Therefore, hot water should be delivered at a minimum of 49 C to 50 C to prevent severe scalding, a requirement supported by code, particularly for health care facilities and federal buildings. It is important that thermal mixing valves, either at point of delivery or close to the storage tank, be installed to prevent scaling. Legionella can ultimately result in serious infection or death in healthy people, but particularly immunocompromised individuals. 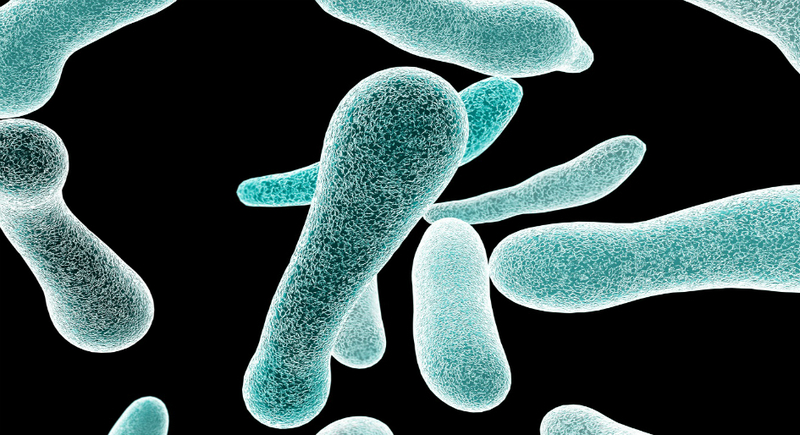 Consequently, to help prevent Legionella growth, the complete building should be examined for potential Legionella growth sites, and a Legionella preventative and risk management program should be developed, including staff training on Legionella awareness, documented preventative procedures and vigilant surveillance, including water sampling. A Legionella preventative management program is important, and while it’s mandatory in certain locations, such requirements are not consistent across Canada. For instance, it is a regulation in Quebec and a by-law in Hamilton, Ontario. These requirements, however, apply only to cooling towers, even though other water systems are common culprits. It is interesting to note that in the UK, Legionella prevention and control is mandated and extremely rigid. For example, in September 2016, a UK company was fined £1.8 million (about CAD $3 million) and ordered to pay court costs for failing to properly manage its water systems to reduce the risk of Legionnaires’ disease. Specifically, poor water testing, staff training, policies and inadequate risk assessments, and failure to follow remedial requirements were factors in the ruling. Bernard C. Siedlecki is a senior associate with Pinchin Ltd.’s Indoor Air Quality group.